Ireland, a longtime leader in the tobacco control movement (Ireland was actually the first countries to impose a nationwide smoking ban way back in 2004, which may or may not have had anything to do with the decline of the pub industry in that country, depending on who you ask), is making a push to force cigarette companies to remove all their branding from their packages and sell cigarettes in plain packaging only. Australia has already taken this step, and New Zealand is the other country considering it. Australia was sued by several tobacco companies but ultimately, the Australian Supreme Court upheld the law. Tobacco companies are fighting New Zealand’s law, too, so Ireland can be assured that if they try a similar law, they will be taken to court. At this point, the legislation has passed the Irish Cabinet. Leading the cause in Ireland is Dr. James Reilly, the Irish Minister of Health and an ardent tobacco opponent. He wants to get the Irish smoking rate under 5 percent by 2025 (currently, it is at 22 percent). The thought behind the plain packaging is that each cigarette package is a miniature advertisement for their product. If you remove the packaging logos, then you will no longer have ubiquitous advertising for that product every time someone remove a pack of cigarettes out of their pocket. Not an outrageous concept, because really, what cigarette company do you think of when you see this to the left? See you already know what the brand is, even without the brand name in the logo. The logo has become that recognizable. 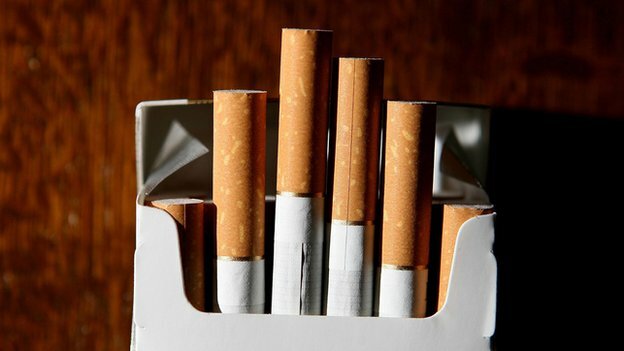 “There is no credible evidence that plain packaging will work in terms of stopping children taking up smoking or encouraging current smokers to quit,” the firm said. I have no idea if removing branding will decrease smoking and is an effective tactic toward combating smoking. Somewhat on the fence on this, but I find it an interesting debate.